In the past students have experienced great difficulty in getting calculators through South African Customs. Customs caused delays of up to 6 weeks and often made extra charges payable. 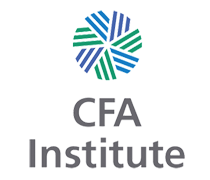 In 2002, by special arrangement with the CFA Institute, a local distribution point was set up within South Africa in order to ensure prompt and cost effective availability of the approved financial calculators. We at Intelectus pride ourselves in providing exceptional levels of service, and our aim is to remain the supplier of choice for all CFA candidates. The members and employees at Intelectus have a strong focus on social responsibility and are firm believers in giving back to the community from which you came.